When you moved into your home, you had every intention of keeping your garage neat and tidy, with a workable space for all of your needs and hobbies. Cars would go here, power tools would go there, outdoor toys would be easily accessible, and the whole space would work for you. Now, junk has crowded onto your work table, cobwebs cover your mountain bikes… and the cars? Well, they’re parked on your driveway. The garage should be a functional, organized extension of your house that helps you live a happy and productive life. When it isn’t usable in the way you need, you miss out on your hobbies — and a whole lot of convenience. 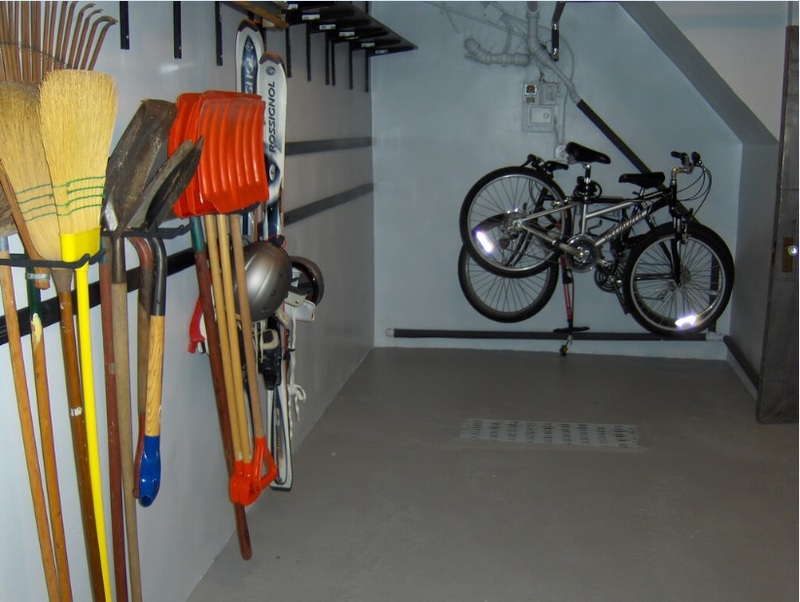 Make your garage more functional, usable, and even peaceful, with these six tips. Take a look at what you’re actually going to store. Do you really need your old tax documents from 1999? Those bike tires with multiple holes — will you really get around to patching them? And that ugly holiday decoration from your Great Aunt Rose… you’ll never put it out, so why are you hanging onto it? Take a good, hard look at every item you’re currently keeping in your garage. Do you really need it all? Get rid of all the things that have migrated to your garage over the years simply because you had no better place to put them. If you don’t need them or love them, get rid of unneeded items to make more space. It’s a simple solution, but many of us simply don’t take the effort to figure out how to create storage that doesn’t involve the floor. 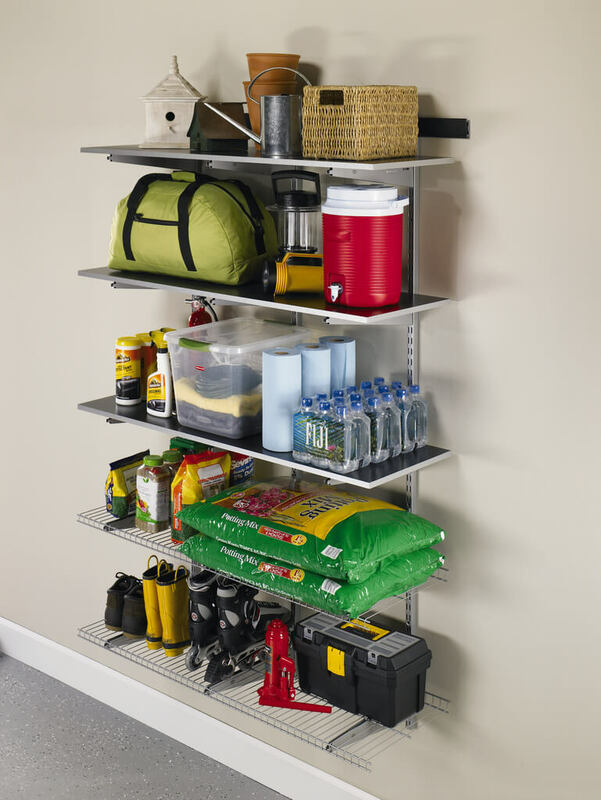 Take a look at your garage, and find where you can install shelves, cabinets, or hooks to hold whatever is currently sitting on your floor. Hang the kiddie pool on a hook during the winter months instead of letting it collect dust (and other discarded items) on the floor. Install a cabinet or shelf that can hold sports equipment. Put your box of baby clothes on a shelf instead of in the corner on the floor. Now that you’re thinking about using wall space more effectively, group like items with like items. 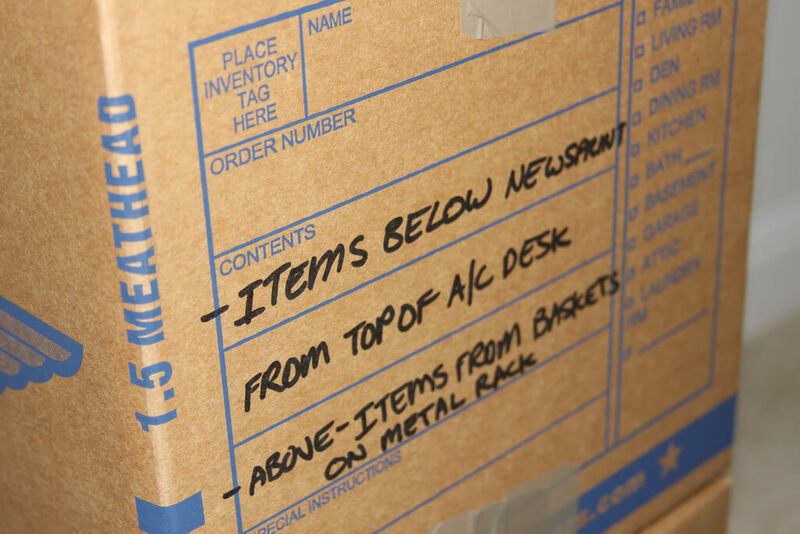 Find storage containers to hold your items together, and clearly label your containers. This will make it easy for anyone in your family to find what they’re looking for, but perhaps more importantly, it will make it easy for anyone in the family to put those items back in the right place! Whether you have one bike or six, bikes tend to take up a lot of awkward space. Bulky and oddly shaped, when bikes are stored on the ground, they prevent you from accessing other things you keep in the garage. And if you have multiple bikes lined up on the floor, you’re just asking for a damaging domino display. Instead, free up floor space by hanging your bikes on a rack on the wall. 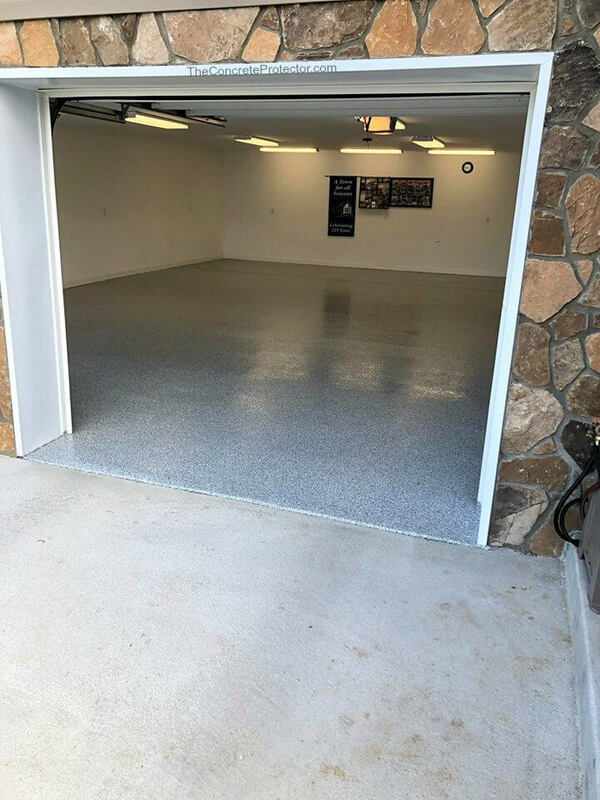 Concrete floor coating will make your garage floor more durable, making it very hard to damage. Plus, it’s incredibly easy to clean and it resists stains and damage from chemicals. 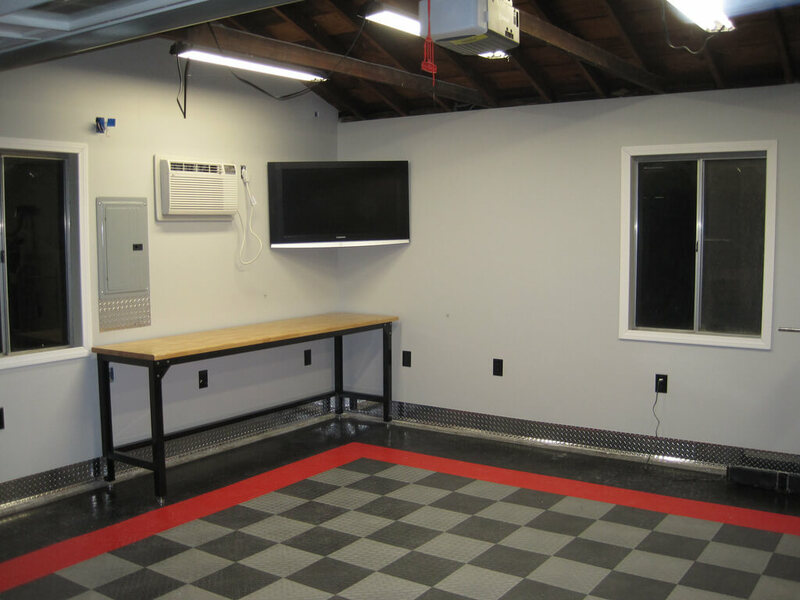 This is a great surface for a garage where you park your car, store the lawnmower, and do big projects. You can even add decorative chips or flakes to give your garage a one-of-a-kind, inviting look. Or you can add anti-skid additives to make the space a whole lot safer for everyone in your family. Many garages are uninsulated, letting in too much of the outside temperature. Not only is this not energy efficient, it makes it harder for you to want to use your garage when the weather is extreme. Finishing your walls will create a more comfortable work and storage space, while also upping the attractiveness of the garage. Finish the walls with insulation, drywall, and even paint, making the space more comfortable all year long. Consider insulating your garage door as well. The garage doesn’t have to be a place where abandoned projects, forgotten items, and clutter go to die. With some smart thinking and strategic planning, you can create a room that is not only functional but attractive as well. That was really informative. Thanks for sharing such a great read.